Planning a bathroom makeover? With so many gorgeous styles out there, choosing a design that complements the existing space and your personal preference can be quite the challenge, but an exciting project too. There are several essential elements to consider when remodelling your bathroom. If an English classic bathroom is more to your taste, you will love our Victorian and Edwardian design ideas. We might be living in the 21st century, when it comes to home decorating and architecture, we continue to look back for inspiration. The Victorian period-style is a timeless interior that is guaranteed to add a splash of luxury to your project. The main theme of most Victorian suites is convenience. They are without a doubt the most comfortable bathrooms, constructed for luxuriating and relaxing. 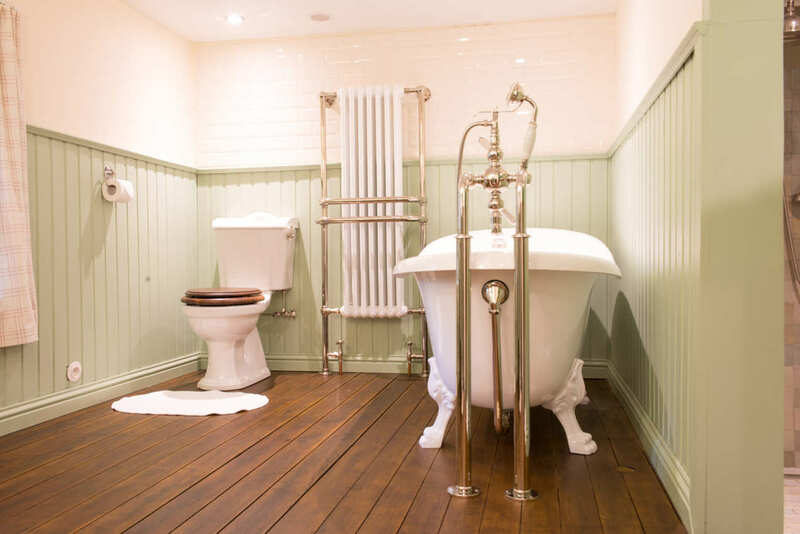 From high level toilets to clawfoot tubs: Victorian bathrooms will surely never go out of style. The defining characteristic of a Victorian bath is a large freestanding tub. Looking for a stunning centrepiece? This London roll-top bathtub makes an elegant addition to any bathroom, but looks especially fitting within a Victorian bathroom. The outside can be painted in any colour of your choice, however we highly recommend a light colour, if that traditional look is what you’re after. To meet the design criteria of a Victorian bathtub, you can’t go without a deck mounted bath-shower mixer from our Traditional collection. Choose between a chrome, nickel, golden, polished brass or old brass finish. Ideal for a long, well-deserved soak. 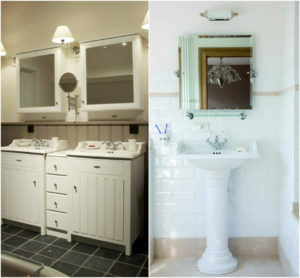 A classic basin and lavatory suite in brilliant white were indispensable key elements in this era. Finish your Victorian styled bathroom with handmade English porcelain from our London collection. Whether your property dates from the early 1900’s or not, there’s no reason you can’t revive the bright charm and curved lines that came out of the Edwardian era. Edwardian suites followed on from the Victorian time. This period-style is all about glamourizing your bathroom and cloakroom – and is less rigid than the Victorian style. These ravishing high-quality bathrooms will definitely allow you to create a look of grandeur in your project. 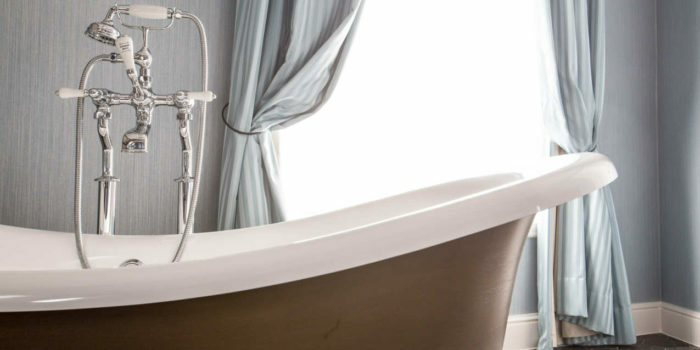 Edwardian bathrooms emphasize light colours and open spaces. The Oxford vanity unit reflects the distinctive styling from the old Edwardian era. If you’re looking to add a real focal point to the space, a basin with fluted pedestal is definitely the best option for you. Do you favour a more contemporary look? 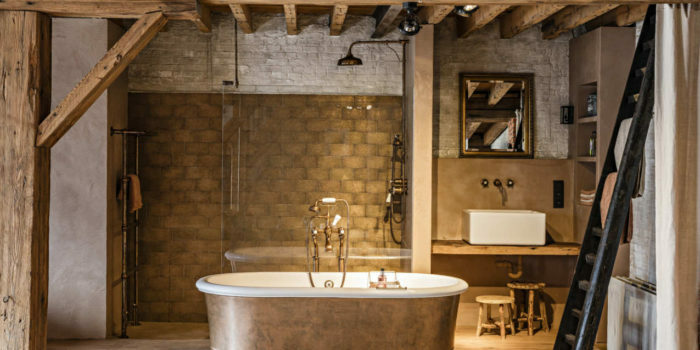 English brassware works wonders in both traditional and contemporary schemes – whether you aspire to French county or prefer the clean lines of modern Scandinavian homes. The end result is all about how you accessorize. to help you create a lush bathroom space. Tell us about your project. Copyright © 2017 Kenny&Mason. All rights reserved.